Silicone tips give a combination of control precision and fluidity that are uniquely inspiring. * Allow for exciting textures marks and effects. * Tips are nonabsorbent so they can be cleaned with a wipe and dried glue or paint can peel right off! Ivory tips are soft and designed for fluids and soft colors while grey tips are firm and offer resistance for extraordinary control over polymer clay heavy body and paste paints. 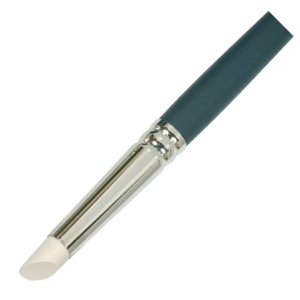 * Black tips also known as Clay Shapers are much firmer and best for sculpting ceramics and modeling. 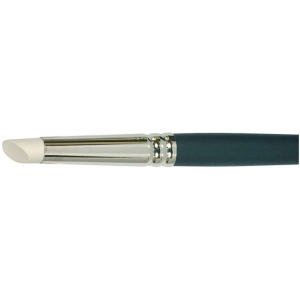 * Wide flat tips work like a spatula; use it to apply and spread even layers of paint or adhesive; evenly blends pastel charcoal and soft graphite. * Curve wide tips work like a squeegee; use the sharp edge to carve paint cleanly or to apply super thin layers and the round edge smooths brush strokes. * The decorator tips have pre-cut slits to add unique texture to a paint surface; use for graining patterns striping on canvas paper walls or furniture.